Kim Lauch is a corporate, group, family, school, and personal wellness coach with a passion for cultivating her client’s mind-body-spirit awareness through the practices of Yoga Therapy, Mindfulness, Mindful Art, Ayurveda, and Holistic Nutritional Coaching. 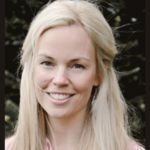 She was called to the practice of mindfulness and yoga in 1999 while earning her Bachelor of Science in Economics and began her teaching journey in 2005 calling on her experience and trainings with many yogis, Pilates instructors, educators, doctors, therapists, Swamis, Shamans, and Monks from all around the world. She has helped many adults and children lessen one’s suffering from a diagnosed illness or disease, as well as those in recovery.